Free e-book: Quick & Easy (but sinfully decadent) No Bake Pie Recipes! YAY! You've subscribed to The Gold Lining Girl! I'm so happy you've joined this community! A buttery, tender, and moist sweet potato scone with brown sugar, eggnog, pecans, and cinnamon chips. 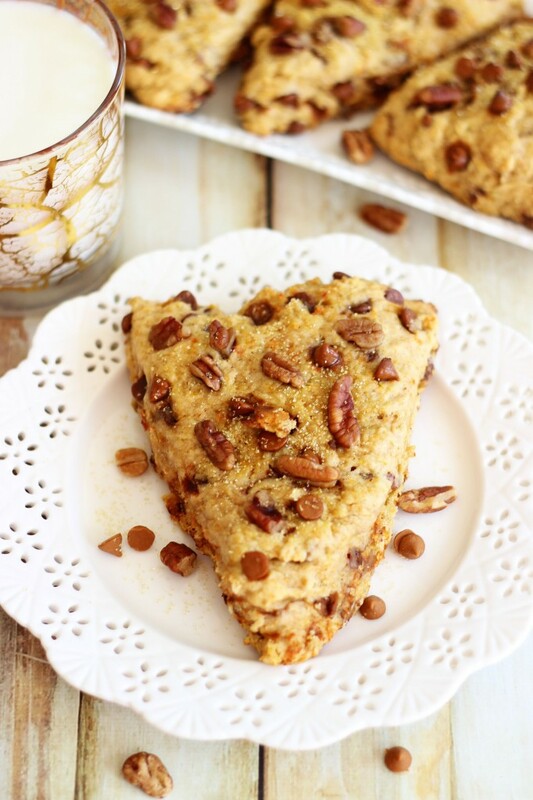 Like sweet potato pecan pie in a scone! 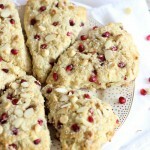 Ever since I made the Pomegranate White Chocolate Almond Scones a few weeks ago, I have had scones on the brain. I seriously can’t stop thinking about them! Those were so unbelievably good, they disappeared in under 24 hours. These were pretty much the same deal. I really don’t think of myself as a scone person either. I’m not NOT a scone person, they’re just not something I generally pick out at a bakery. How many people are like “I have to have that scone” when at a bakery counter? Not me, anyway. I’m staring at layered cheesecakes and cupcakes the size of my head. Well… except for the Starbucks pumpkin scones with cream cheese glaze. Those I actually do gravitate towards… and pretty darn often, I must say. Still, scones are all I have been thinking about lately. I think I just never had enough experience with homemade scones to understand how truly amazing and delicious they can be. Now that I’ve experimented more and understand their potential, I can’t stop. I’m finding that part of the charm in making scones is how simple they can be too. Sometimes I have a mental block against making bread and biscuit type foods because I build them up in my mind to be so challenging. These are not so bad! They’re even easy, dare I say. 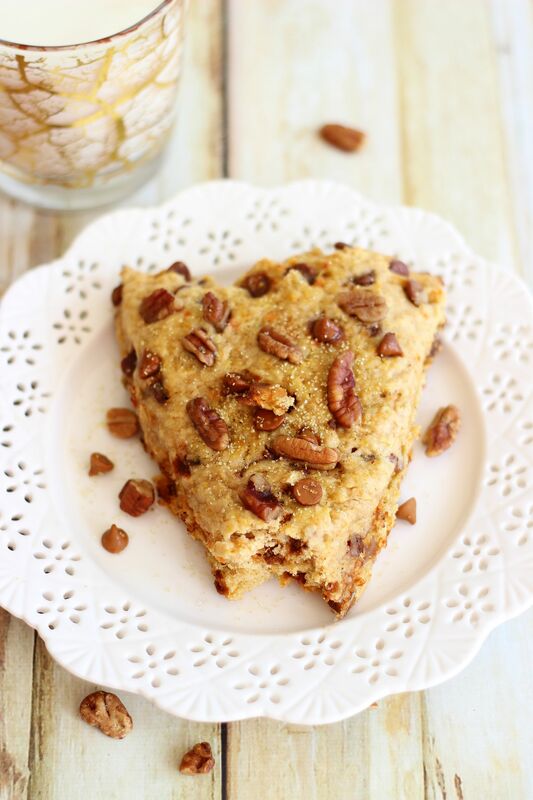 With lots of mashed sweet potatoes in the dough, these scones are particularly moist! Plenty of butter makes them super flaky and tender. Brown sugar provides them even more moisture and flavor. Then they’re loaded up with pumpkin pie spice, pecans, and my favorite part: cinnamon chips. The chips get all melty and gooey. Cinnamon chips are kinda awesome, you guys. I used eggnog in the dough too, and while it’s optional (whole milk will also work), it adds an extra boost of spices and seasonal flair! In a small bowl, combine eggnog and vinegar. Set aside. In a large bowl, combine flour, brown sugar, baking powder, pumpkin pie spice, salt, and baking soda. Blend well. Using a grater, grate the cold butter into the flour mixture. Fold butter into flour mixture until well-blended. In a medium bowl, combine the eggnog mixture, egg, and sweet potatoes. Whisk until well-blended. Add the sweet potato mixture to the flour, along with the cinnamon chips and pecans. Mix altogether until just combined. Turn onto a lightly floured surface, and knead 10-12 times. Gently form dough into a large ball. Place the dough onto a well-greased baking sheet and flatten into a circle about 10-inches in diameter, and about 3/4-inch thick. Brush the dough lightly with eggnog and sprinkle evenly with coarse sugar. Using a long knife, cut into 8 wedges. Carefully separate wedges on baking sheet, pulling them just slightly apart. Bake at 400 degrees for 16-20 minutes, or until edges are golden brown. Scones are one of my favorite baked goods! Though I agree with you, I’m not a huge scone person, at least not until more recently. I’ve only made scones once and I definitely need to change that after seeing your recipes! I love that you added sweet potatoes to the batter, such a creative idea, Sarah! 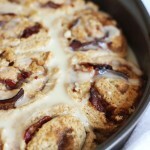 And the pecans look like the perfect touch. These would definitely not last long in my house! I think homemade scones make all the difference! Well, duh. That’s true of most things, I suppose! Haha. Everything is better homemade, and it’s even more the case with scones, I think. You should try making more – they’re so much simpler than I ever realized! Thanks so much, Gayle! 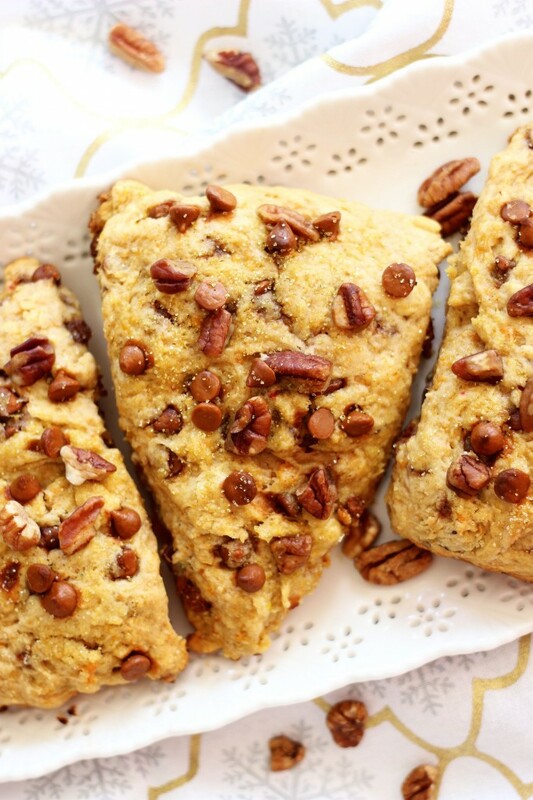 I definitely don’t go for the scones first either — but these look incredible! What an awesome combination of flavors! These scones look so good! Love the sweet potato and pecan flavour, amazingly tasty! Those look amazing Sarah! I always go for the scones first. I love them. Especially Starbucks, although I caved and got one at Starbucks this morning (they had pumpkin and I couldn’t resist! ), and was totally disappointed. They just don’t compare to homemade! 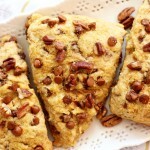 And now I need to make more scones, especially after looking at these ones! That is so true Sarah…sometimes we just have a mental block and we can’t look past it…we just assume that it’s difficult whereas it’s not in reality..I had the same mental block for french macarons..I’m glad I made them once and now make find them very easy to make. The scones look wonderful…they aren’t my favorite baked good like you but I enjoy the homemade version. This looks fabulous. Pinned. I agree! Homemade is always better. Thanks so much, Medha! I can’t get enough of scones at the moment.. in fact I made some cranberry and white chocolate ones today. 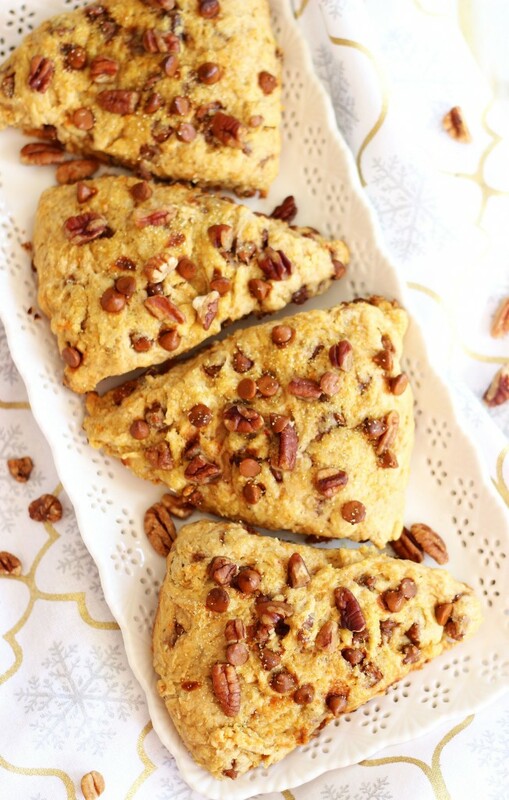 Next time I have a serious scone craving I will be making your delicious sweet potato pecan pie scones – they look and sound incredible! 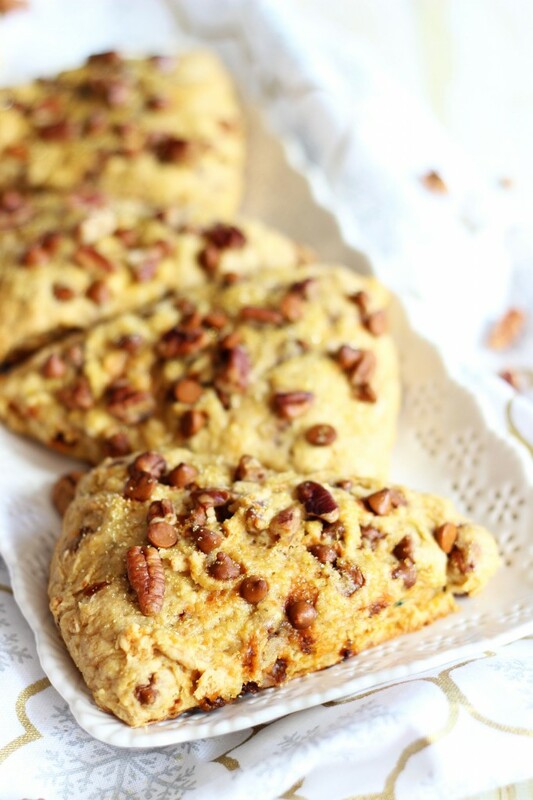 I am a sucker for those pumpkin scones at Starbucks too but these definitely have me swooning ! They look amazing and so tender! 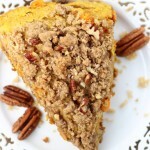 I love the sweet potato and pecan combo! Yay! So glad you like the scones! I’m all about sweet potatoes around the holidays too. I mean, we can claim to be eating a good-for-you vegetable, but it tastes like dessert. I’m all about that! these would go fast at my house! I saw these amazing scones early this week on your social media, but did not have time to comment. I was so excited to see them tonight on Wonderful Wednesday blog hop. Sharing on Facebook, Pinterest, and tweeter. Oh, that’s great! Thanks so much, Diane! I’m so happy you like them, and thank you for sharing them! 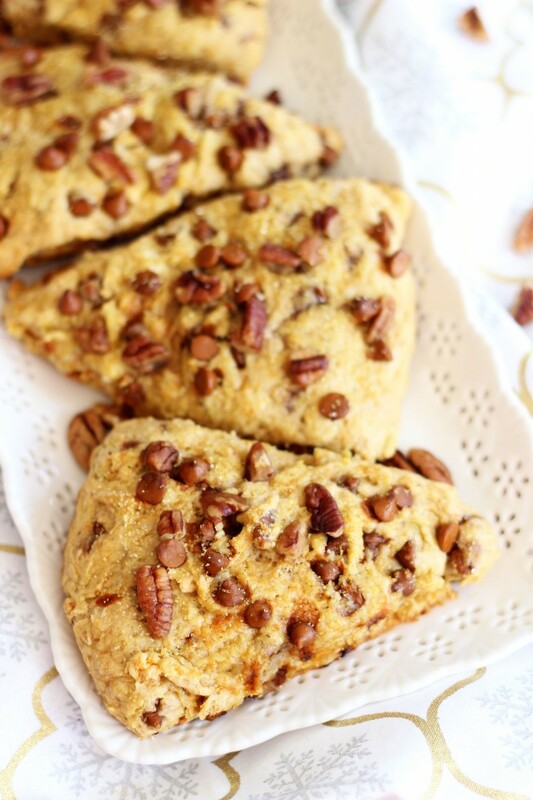 I love scones and can’t wait to try these. Thanks for sharing! 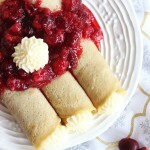 Oh YUM…this is a recipe I want to try. Thanks for sharing with the Thursday Blog Hop! These scones look craaaazy good!! 😉 I love the pecans! 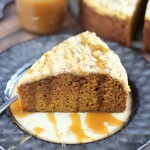 I love the idea of using sweet potatoes in this! Thank you so much for linking up at Tasty Tuesday! Sarah! These look sooooooo good! Thanks so much for linking up with Found & Foraged and supporting us! Can’t wait to see what you bring to the party tonight at 8PM CT! Yummy yummmm yummm! © 2019 The Gold Lining Girl. Custom blog by Moonsteam Design.